To determine DXCC entities which are rare and worth visiting by a DXpedition you can use poll results below or Clublog statistics: most wanted list. 1. Uploads from certain amount of amateurs are not updated or amateurs are not active anymore (SK). 2. Some active HAMs do not upload their data to Clublog (about 30% do). 3. Receiving confirmation and making upload (especially QSL via bureau) takes long time. 4. Because data are gathered from start of Clublog they are more inaccurate as time goes on (all silent key and not active amateurs data are still valid). 5. All Dxpeditions whose data are in Clublog usually do not care about working new sophisticated DX entities. Voting in a poll will give alternative ranking to this in the Clublog. You can choose up to 50 (or less) DXCC entities. This poll should give precise results for 2019 because it is based on online immediate visitors’ votes and will help to plan next DXpedition. Have fun! 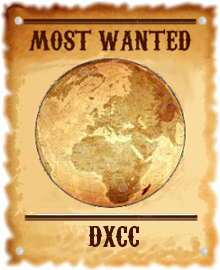 What are 50 most wanted DXCC ? There are few groups of rare DXCC entities (countries) causing their difficulty. Some from top of the list are politically delicate (DPRK, Turkmenistan, Pratas, Scarborough Reef). Others need hudge logical/financial effort with sophisticated transportation and equipment due to geographical location (Bouvet Island, Peter I Island, Heard Island). Few are military base/posts (San Felix, Pratas, Aves, Trinidade & Martim Vaz). Quite a big number of “most wanted entities” are wild life nature reserves and need special permition to operate amateur radio (Kure, Glorioso, Navassa, Midway, Desecheo). As a rule on most of the needed ones is no human population and no regular transportation. Scarborough Reef seems to be one of those tension DXCC entities – both politically and logistically. 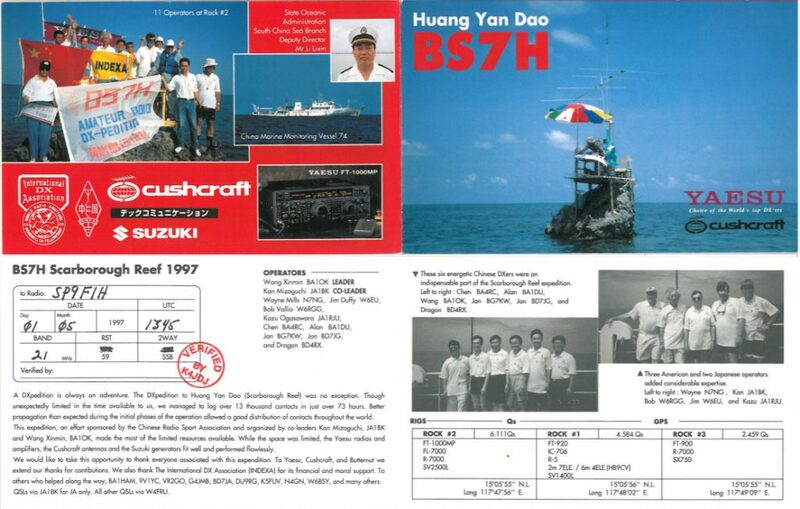 It is one of the most wanted DXCC entities on the list.